Volvo will begin self-driving tests next year in Gothenburg, Sweden, using specially equipped XC90s and local drives as part of its Drive Me project. Volvo wants to put 100 self-driving cars into the hands of local drivers in China to help encourage local governments to start taking the steps needed to launch the technology in the world’s largest car market. Volvo says its program would be China’s most advanced autonomous driving experiment, but the automaker still needs to negotiate with the local leaders to see which Chinese cites would be able to provide the necessary permissions, regulations and infrastructure to allow the test to happen. The automaker is looking to take advantage of the pledges central government policymakers in China have made to embrace futuristic technologies such as self-driving cars. Volvo is preparing to launch a similar test in Gothenburg, Sweden, in late 2017. 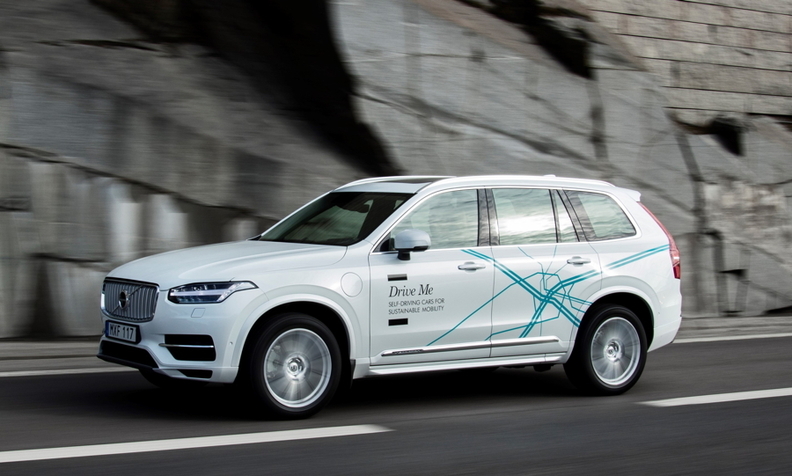 The Drive Me pilot program will include 100 self-driving XC90 SUVs driven by ordinary people in Volvo's home city of Gothenburg using a controlled 50km route. The bid to also offer a program in China, the home market of owner Zhejiang Geely Holding, reaffirms Volvo CEO Hakan Samuelsson’s desire to make the company a leader in autonomous driving. Samuelsson has told Automotive News Europe that Volvo has an advantage here because “the ones who will be credible in this area will be the ones who are credible in safety. That's why we want to be No. 1.” The Swedish company has been considered a leader in automotive safety since it invented the seat belt in 1959. The automaker also has set a goal that no person will be killed or seriously injured in a new Volvo car by 2020. To reach that goal new Volvos will need to be equipped with the most advanced driving technologies, but a number of the features, especially autonomous driving capability, will need to be approved for use by governments around the world. Volvo says that independent research shows autonomous driving has the potential to significantly reduce the number of car accidents because up to 90 percent of all crashes are caused by human error. Besides Volvo, Renault-Nissan, Tesla, Mercedes, Audi and Alphabet Inc's Google are among the companies developing self-driving vehicles.